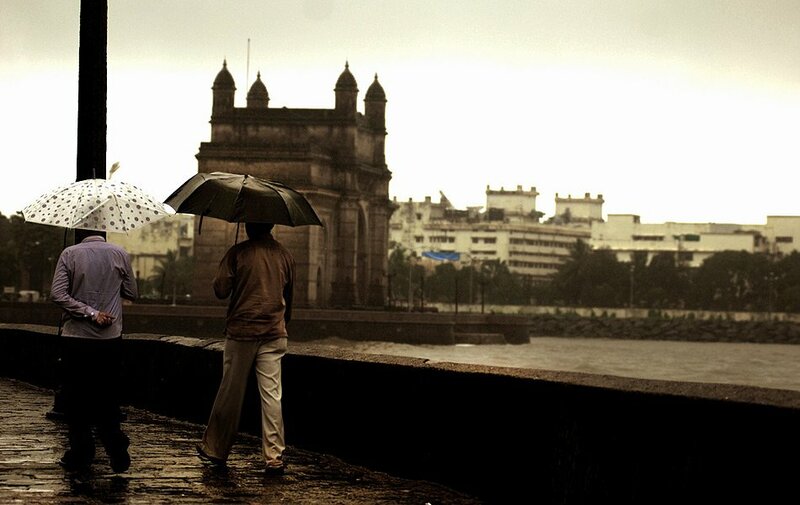 From her travels around India, sculptor and aspiring photographer Niyati Upadhya shares her favourite images of Mumbai gleaming through the monsoons – the faces and occupations of India’s oldest port city, of Goa‘s winding roads and dreamy train-scapes, and the many scenes that keep India close to our hearts. 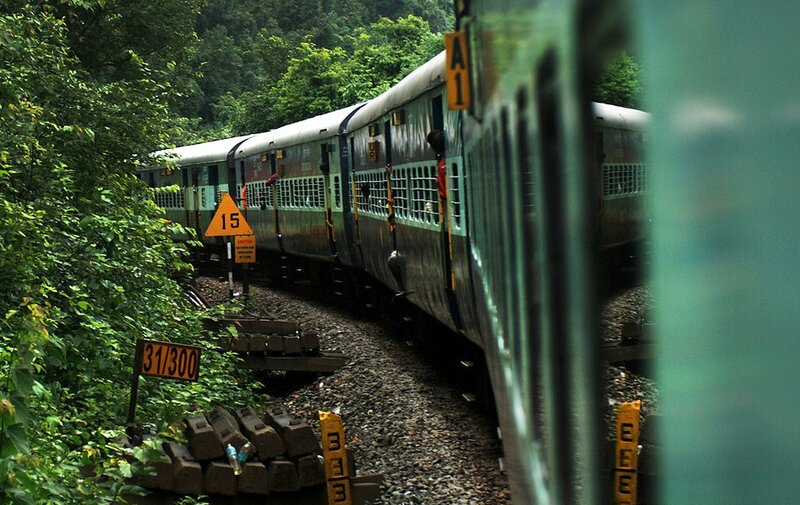 Telephone wire, trees and trains. 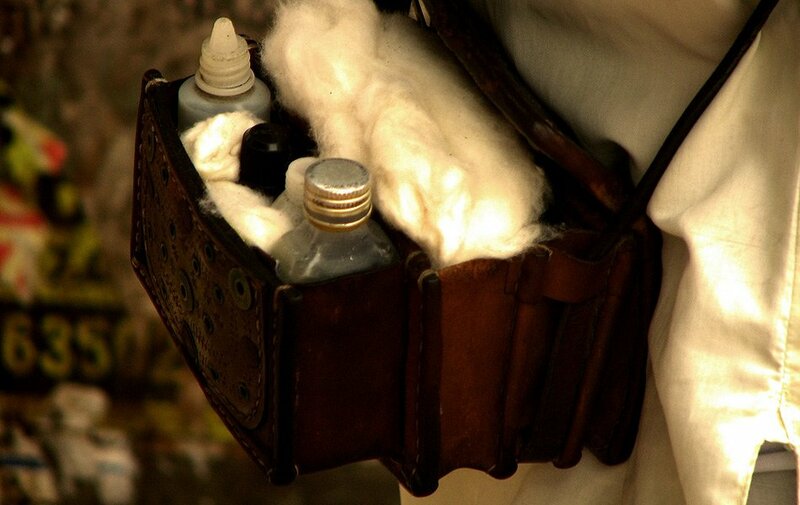 A professional ear cleaner‘s equipment, seen in Mumbai. 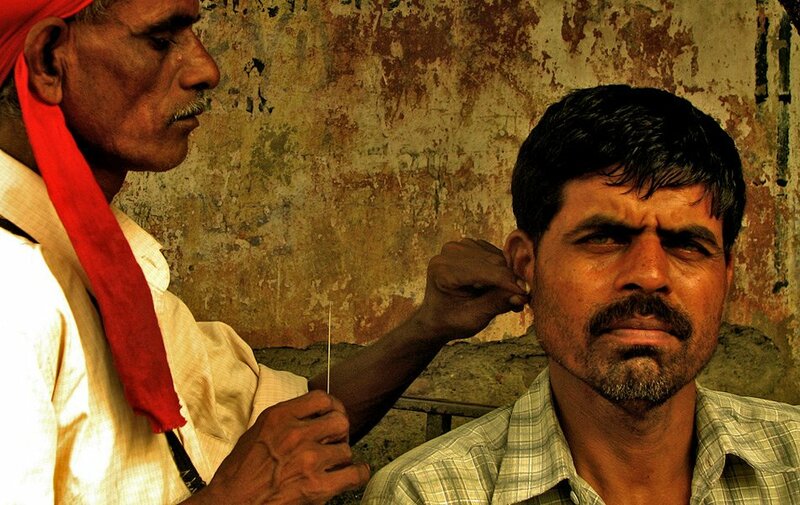 A man gets his ears cleaned in Mumbai. 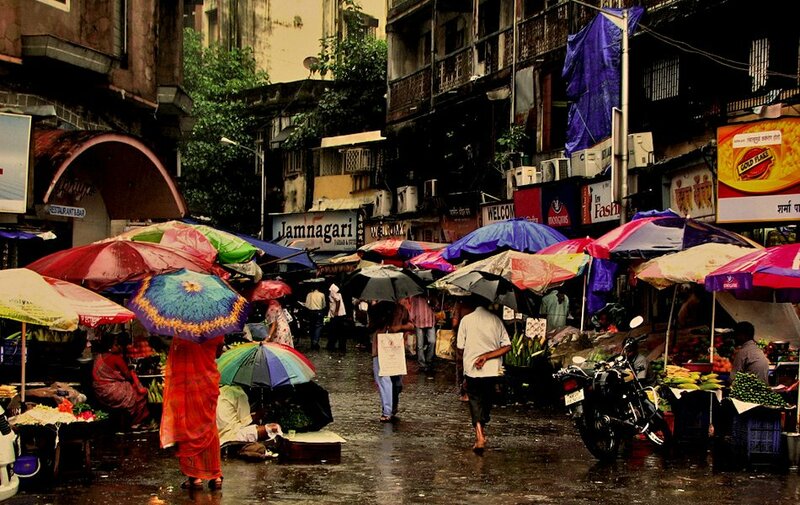 Colourful umbrellas brighten up an otherwise grey monsoon. 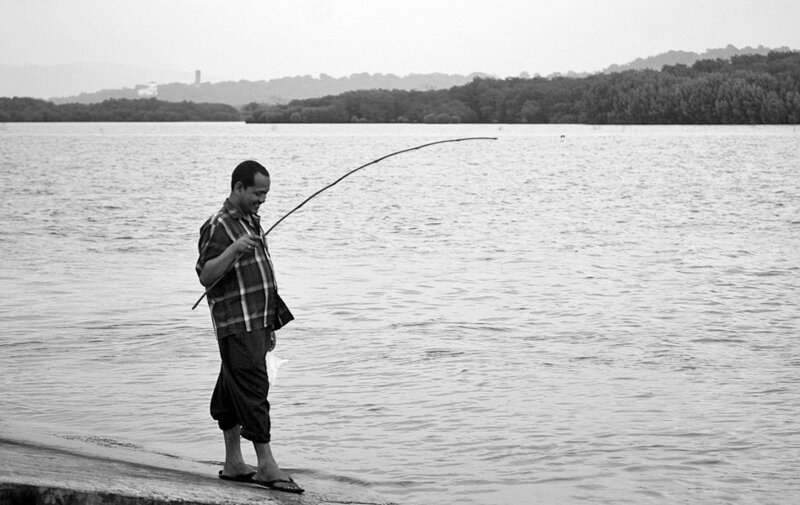 Fishing villages along the coast of Goa. 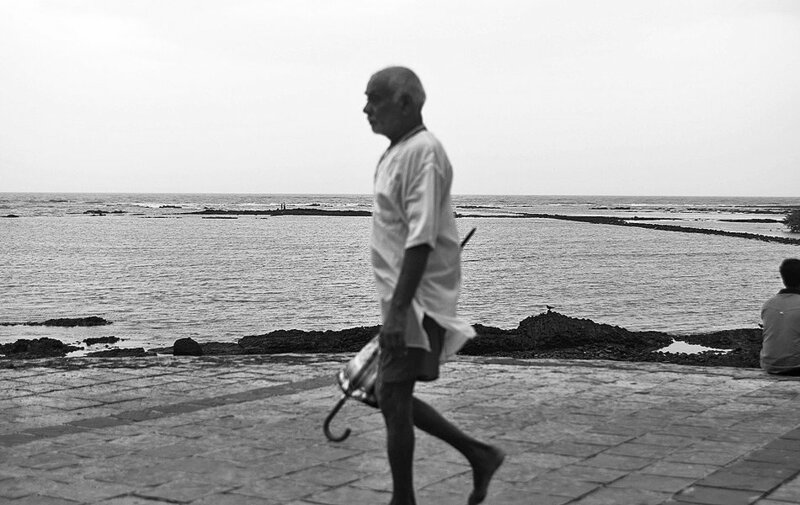 An elderly man braves the gloom, barefoot. 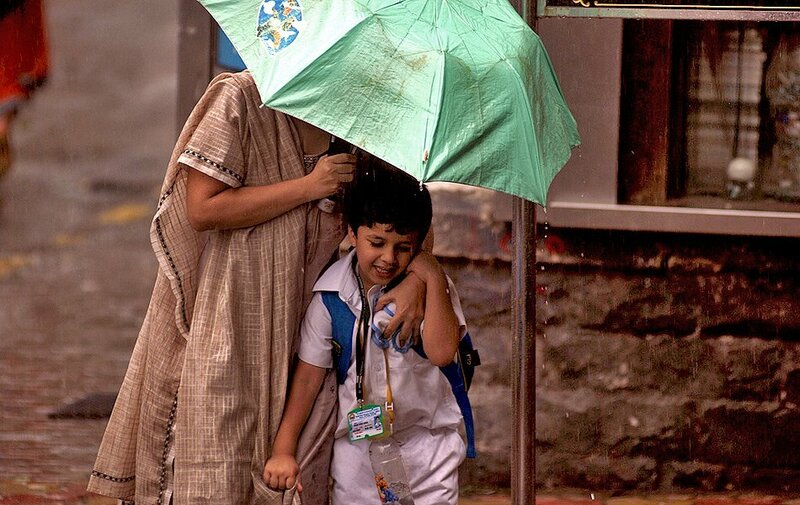 A schoolboy shares an umbrella with his mother. 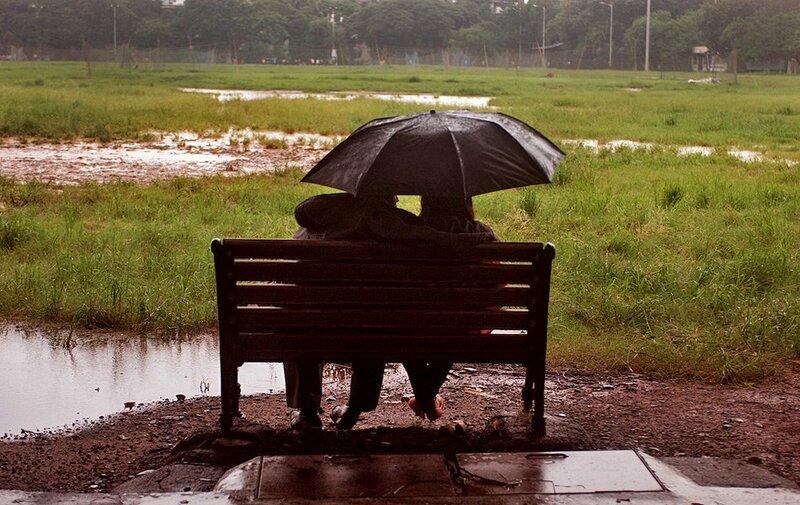 Green fields by a park bench, and a single umbrella to cosy under. 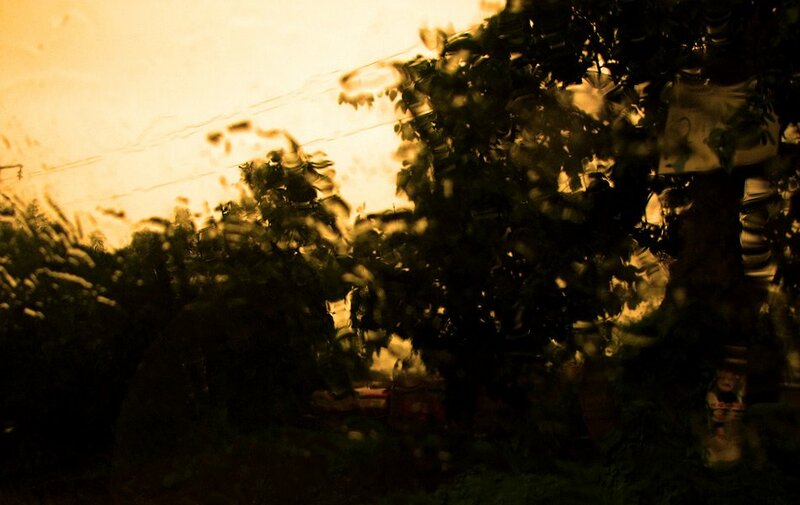 View from a train, Mumbai to Goa. 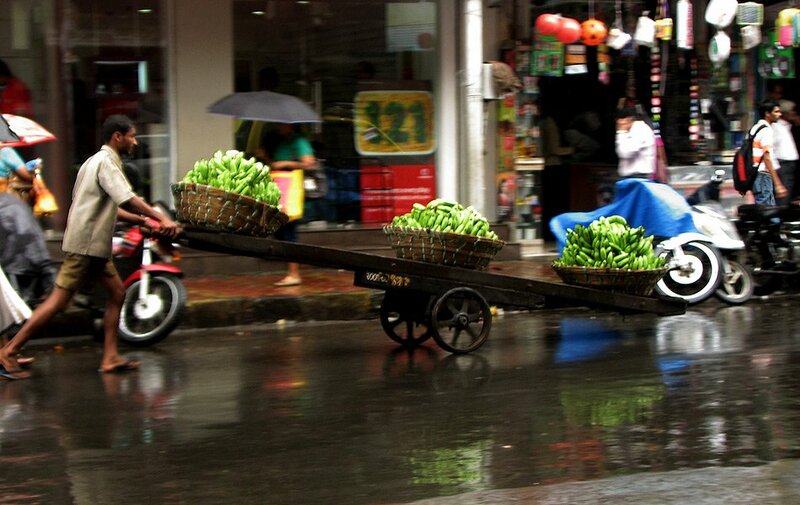 A vendor balances his fruit on a wheelbarrow. 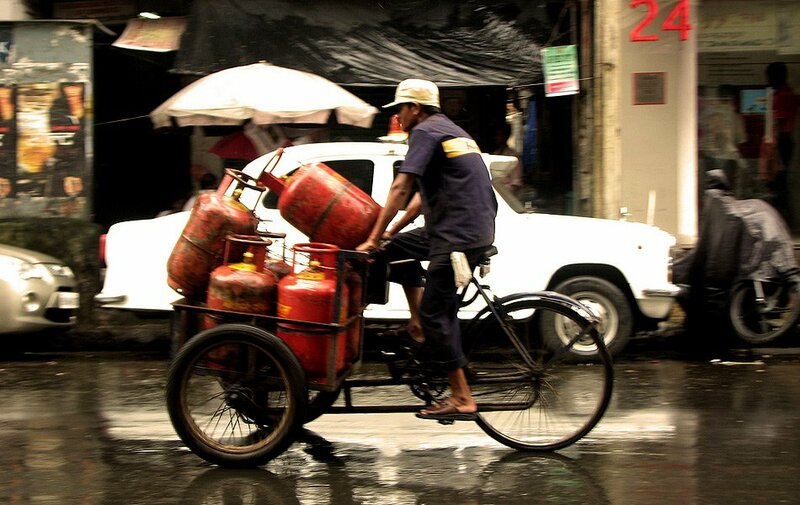 Getting the job done – a man cycles along a wet road to deliver LPG cylinders.. 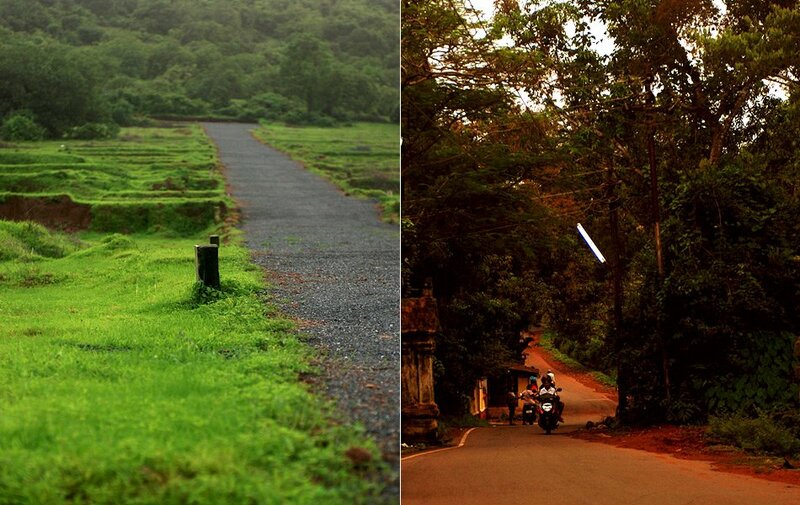 The long road ahead, Mumbai and Goa. 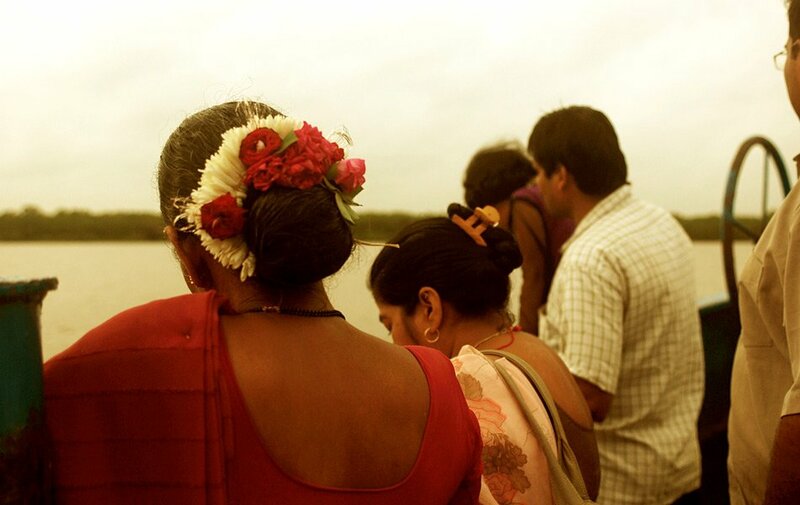 This entry was posted on November 9, 2011 at 2:14 PM	and is filed under India Forgotten. 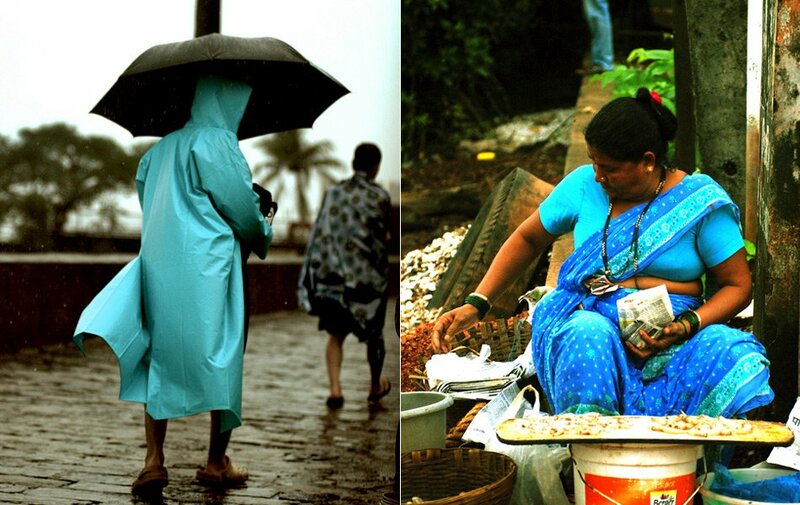 Tagged: asia, Cotton swab, Goa, government, India, Liquefied petroleum gas, Maharashtra, Monsoon, Mumbai, Umbrella. You can follow any responses to this entry through the RSS 2.0 feed. Both comments and pings are currently closed.